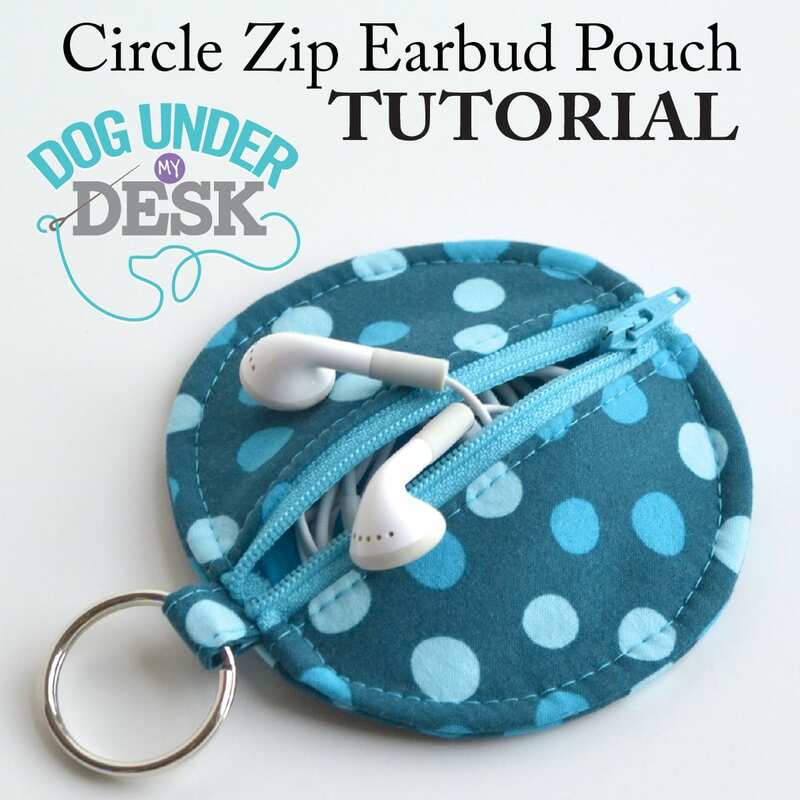 This Circle Zip Earbud Pouch is definitely simple to make, and a little more fun than the typical rectangular zippered pouch! A perfect gift for teenage cousins or nieces or girlfriends or even teacher gifts. Fun, quick, and cute! It doesn’t take very much fabric so you could even use scraps! You will also need a 1″ wide nylon 5″ or longer zipper. You might want to check this Half Square Triangle Pouch. Thank you for the tutorial. I am a teacher and plan on making these for all my students for Christmas! They will love them. An added bonus, I can will be able to use my mountains of scrap fabrics.